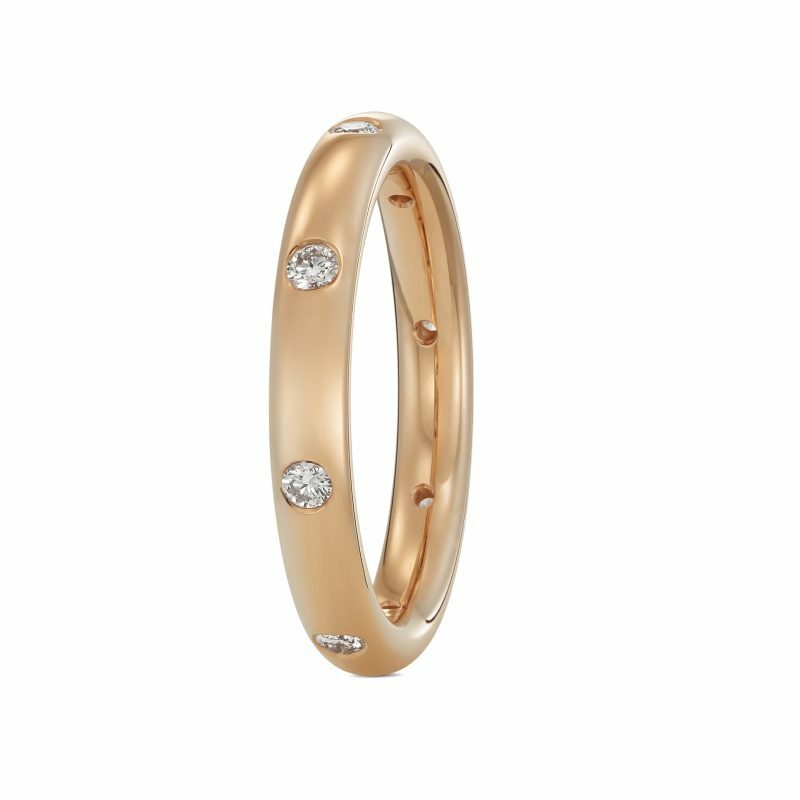 You name the number of diamonds you wish: Spotline shows the range of variations of our memoire ring concept. This ring has only eight brilliants and yet looks very effective. And why not add brilliants later?